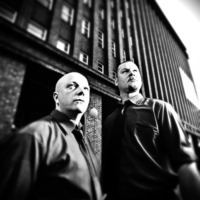 VNV Nation are a British/Irish electronic music band originally from Wexford, Ireland and London, United Kingdom and now based in Hamburg, Germany. They combine elements of industrial music, trance, synthpop and electronic body music (EBM). Earlier works also include some electro-industrial influences. The members are Ronan Harris and Mark Jackson. The "VNV" in the name stands for Victory, not Vengeance, in keeping with the group's motto, "One should strive to achieve, not sit in bitter regret."